More than 16 000 Ordinary and Advanced Level candidates will this year sit for the recently introduced Physical Education, Sport and Mass Displays exams as Government equips pupils with physical literacy, health and fitness expertise. Physical Education, Sport and Mass Displays begins at Early Childhood Development level up to A-Level. The new curriculum also covers critical areas such as Anatomy and Physiology, Nutrition, Biomechanics and Unhu/Ubuntu Philosophy. 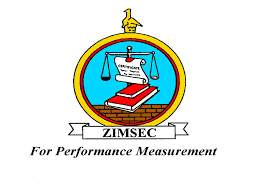 In 2016 Government introduced the new curriculum, which borrowed from the 1999 Nziramasanga Commission of Inquiry that proposed a raft of measures to transform the education sector so that it produces innovative citizens. Physical Education, Sport and Mass Displays between ECD and Grade two covers theoretical topics such as functions of the human body, safety and health, body balance, locomotion and co-ordination. It also incorporates aquatic skills, children’s sport, art, arena performances and musicology. From Grades Three to Seven, the practical element of the subject is introduced and is developed into the three study areas of Physical Education, Game Skills and Mass Displays. At secondary level, learners study the history of physical education and sports, health, safety and environment, substance abuse and anti-doping, nutrition, and physical activities. The curriculum covers sports injuries and first aid, sports administration, club formation and management, sports enterprise, and human body systems and performance. In an interview in Harare last week, Primary and Secondary Education Minister Professor Paul Mavima said Government would establish a National Centre for Education, Research, Innovation and Development. He said this would help ensure Zimbabwe’s education was in sync with international standards. “We have looked at the skills and competences needed in the 21st century for Zimbabwe to be competitive, both in terms of our graduates being competitive in the international market and for the country to be competitive on the global market,” he said. Prof Mavima said sports management was among the world’s best paying jobs, with huge employment creation potential. The minister said the ministry would roll out a communication strategy to inform the nation on the new curriculum. Director for Curriculum Development and Technical Services in the ministry, Dr Arthur Makanda, said over 8 000 schools would this year offer Physical Education, Sport and Mass Displays exams. “We are creating a nation rich in physical literacy, health and fitness while creating wide career opportunities. “This will improve the economy by providing a self-sustained learner and will bring in foreign currency by producing podium performance athletes who will be consumed in the global industry,” he said. Dr Makanda said introduction of the subject came as the world increasingly grappled with obesity and related non-communicable diseases.